This 25cm deep mattress is on Show in store to view and try and at the moment has 25% off in the Magniflex World Sale. New from Magniflex and offers the cutting edge of technology as it offers a super quality medium soft mattress with thermo regulating, breathable stretch top cover that fuses together a Outlast treated top cover with a 2cm layer of patented Memofoam then a layer of super soft fibre on top of a 5cm layer of Eliosoft zoned shaping stretching foam which allows your body to contour in to the mattress , This layer sits on top of a further 8.5cm layer of shaping Eliosoft foam and then is finished with a 8.5cm layer of eliofoam , which is then all encased with a soft knit stretch cover with outlast fabric membranes to help the mattress stay cool. This mattress offers a luxury medium soft feel in the same way the Mammoth Super soft works. 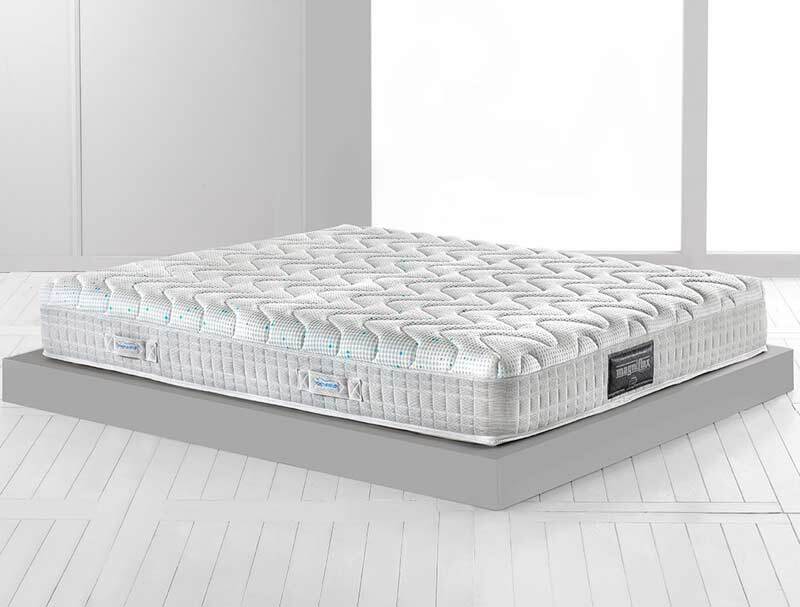 This mattress is one of Magniflexs premium mattress and has a 2 year guarantee and a 10 year warranty and is the only Magnistretch model sold in the UK.